Founded in 1990, the International Association of Certified Home Inspectors is a federally tax-exempt, 501(c)(6) non-profit trade organization headquartered in Boulder, Colorado. 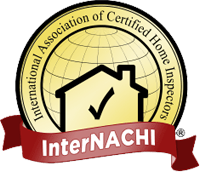 InterNACHI's mission is to continue its leadership role as the world's largest trade organization of certified property inspectors. HomeAdvisor is a leading online directory that offers tools and resources for home services. The Elite Service Badge badge is awarded to pros who go above and beyond for their customers. How do they know we went above and beyond? Many of our local clients told HomeAdvisor about our work by offering feedback through their website. Thank you! He was very knowledgeable, confident, and patient. With every finding, Mr. Dean had a recommendation that was easy to understand. — Monique H.